Beetle kill in the newly remodeled Station 45 in Snowmass. 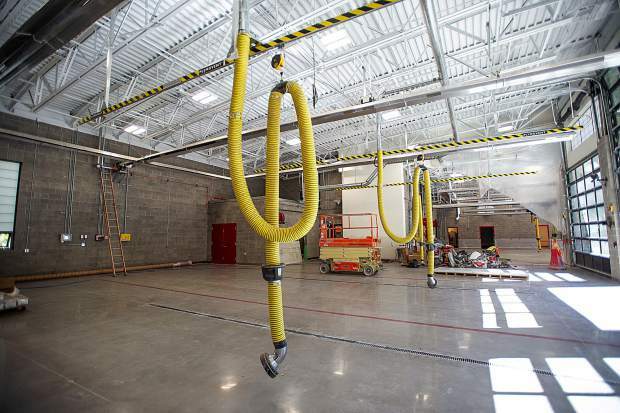 The workout area for the firefighters in the newly remodeled fire station in Snowmass. 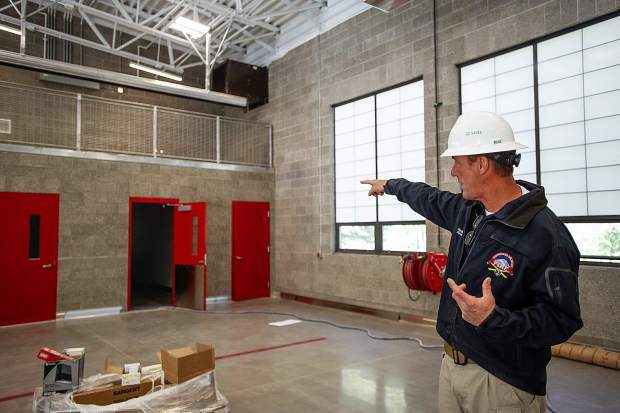 Snowmass Fire Chief Kevin Issel points out storage areas in the newly remodeled station 45 on Sept. 26. The new bay area for the remodeled Snowmass fire station 45. The 32,473-square-foot, state-of-the-art station will include seven bays for housing apparatus, a command room, kitchen and day rooms, a "training tower," seven soundproof bedrooms for the firefighters, six studio apartments as part of the district's employee housing requirement and resident training program, a 600-square-foot workout facility, a lobby and reception area. 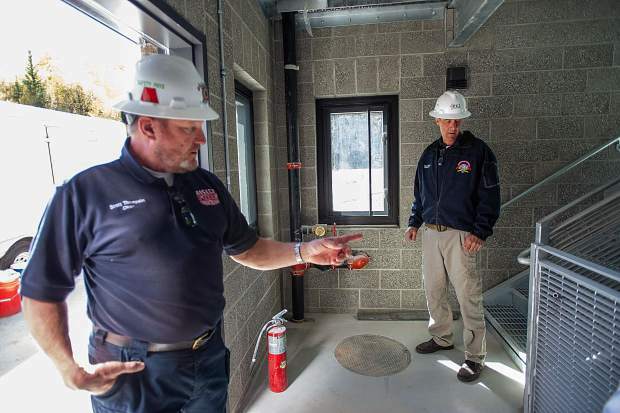 Basalt Fire Chief Scott Thompson, left, and Snowmass Fire Chief Kevin Issel explain the training tools with the nearly finished remodeled fire station in Snowmass on Sept. 26. The 32,473-square-foot, state-of-the-art station will include seven bays for housing apparatus, a command room, kitchen and day rooms, a "training tower," seven soundproof bedrooms for the firefighters, six studio apartments as part of the district's employee housing requirement and resident training program, a 600-square-foot workout facility, a lobby and reception area. 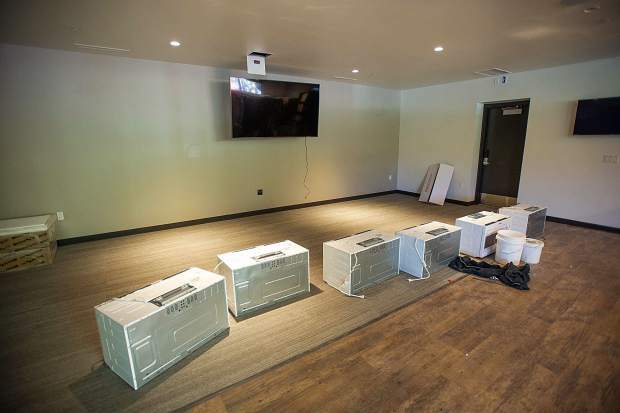 The sound system in the workout area for the firefighters in the newly remodeled fire station in Snowmass. 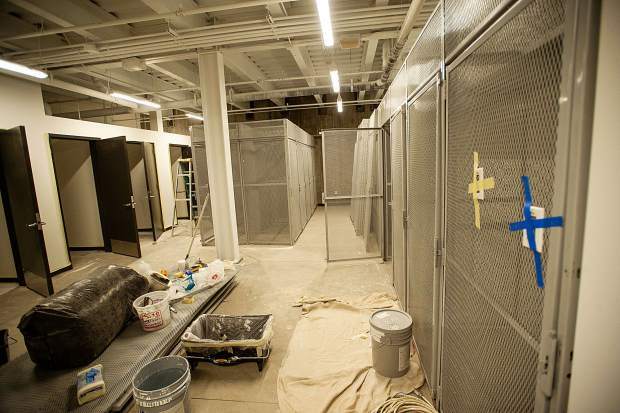 Lockers for the firefighters' gear in the newly remodeled fire station in Snowmass. One of the new Snowmass fire station efficiency apartments. There will be 6 apartments total in the new facility. The 32,473-square-foot, state-of-the-art station will include seven bays for housing apparatus, a command room, kitchen and day rooms, a "training tower," seven soundproof bedrooms for the firefighters, six studio apartments as part of the district's employee housing requirement and resident training program, a 600-square-foot workout facility, a lobby and reception area. 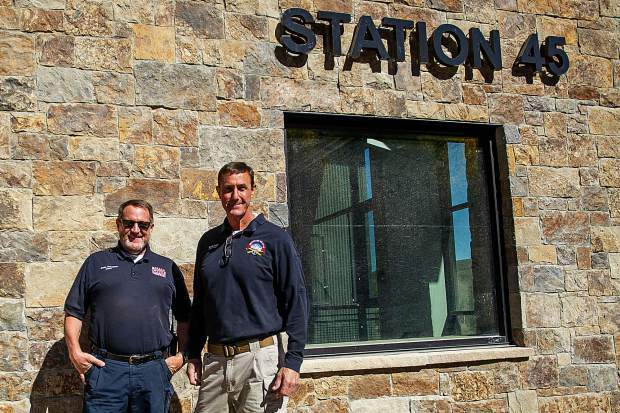 Basalt Fire Chief Scott Thompson, left, and Snowmass Fire Chief Kevin Issel stand in front of their nearly finished remodeled fire station in Snowmass on Sept. 26. The 32,473-square-foot, state-of-the-art station will include seven bays for housing apparatus, a command room, kitchen and day rooms, a "training tower," seven soundproof bedrooms for the firefighters, six studio apartments as part of the district's employee housing requirement and resident training program, a 600-square-foot workout facility, a lobby and reception area. 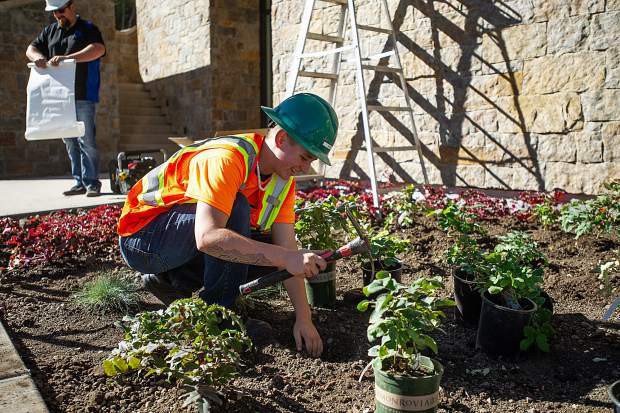 Kayla Hutton with 4 Seasons works on the landscaping to the entrance of the new fire station in Snowmass on Sept 26. Firefighters will start to move back in Oct. 10. 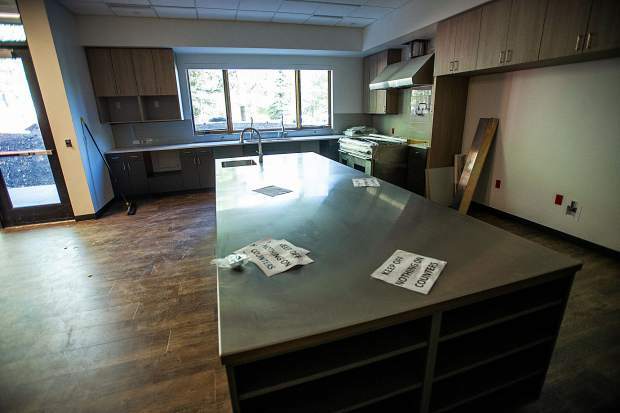 The kitchen for the firefighters in the newly remodeled fire station in Snowmass. 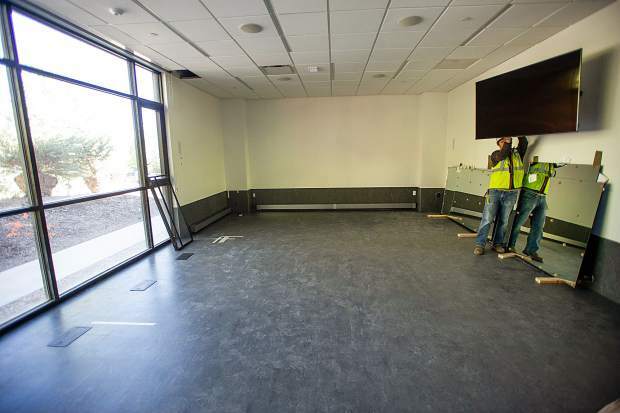 The common area for the firefighters in the newly remodeled fire station in Snowmass. 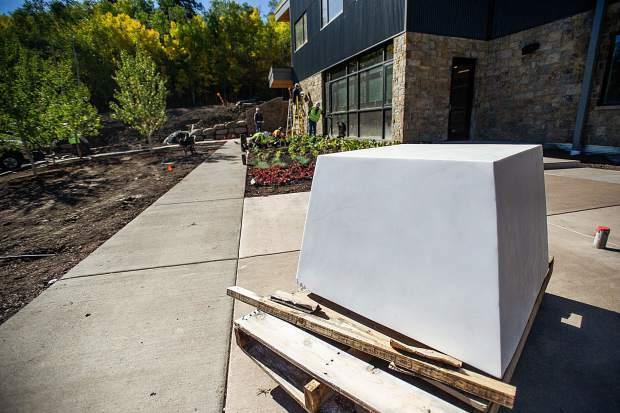 A marble block commissioned out of Marble that will hold a statue of flames and have etched names of past firemen outside of the newly remodeled Snowmass Fire Station. 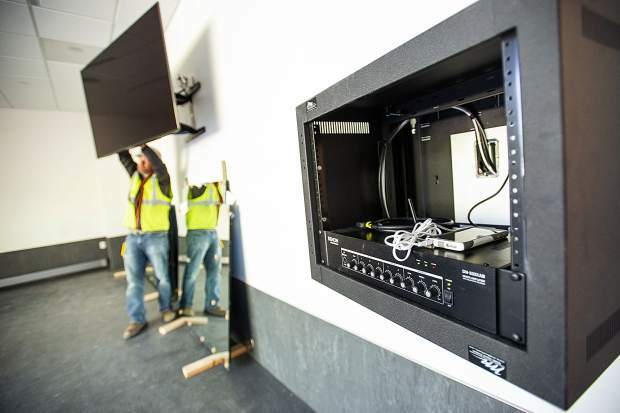 In one week, Snowmass firefighters will begin moving from the temporary site at the rodeo grounds into their shiny, new $19 million state-of-the-art station. 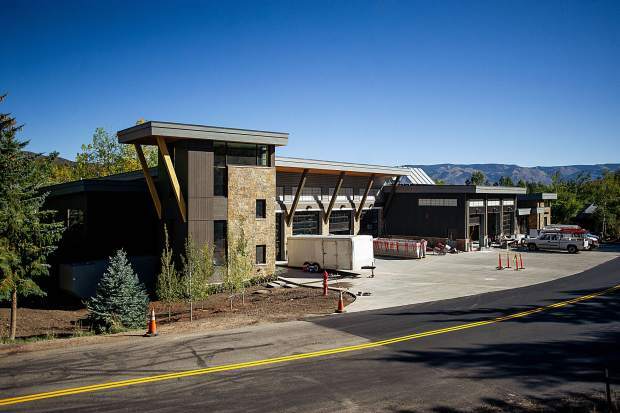 Despite a massive local wildfire this summer that required the attention of every member of the Snowmass fire district — as well as early soil complications that delayed the project considerably — construction of the nearly complete 32,473-square-foot station is about one month ahead of schedule. 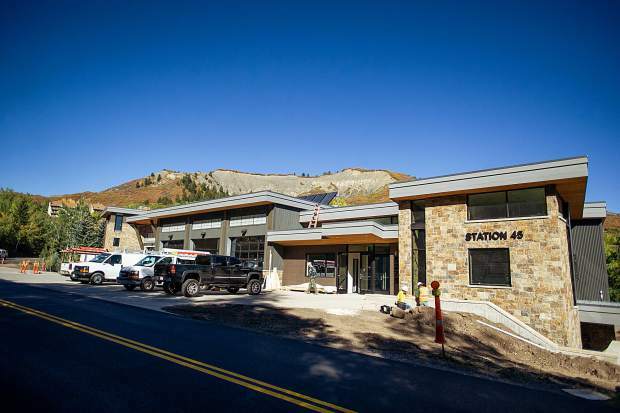 Topping the reasons Snowmass Village needed a new and improved firehouse was a failing foundation beneath the former, 46-year-old building. 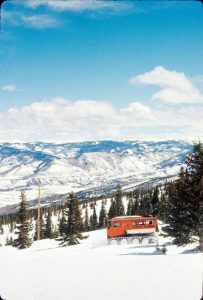 But accommodating for Snowmass’ changing landscaping, growth and increased development — both within the past almost half a century and in the future with Base Village and high-rise buildings — also was a notable factor. One part of the new station, for instance, offers a 30-foot training tower designed to mimic the type of stairwells found in high-rise structures such as the Viceroy and the soon-to-open Limelight Hotel. 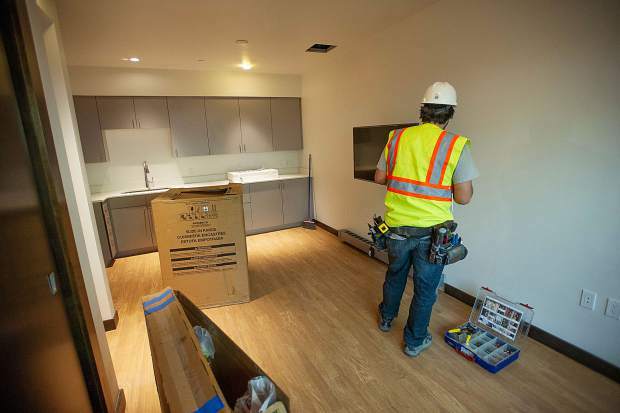 “Every room in this station is designed for a specific purpose,” Snowmass deputy fire chief Kevin Issel said during the tour. 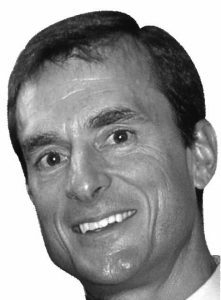 Another change to the Snowmass fire district and its operations is its merger with Basalt fire. 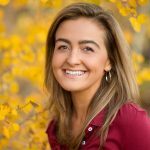 The two districts, which formally will be known as the Roaring Fork Fire Authority, have been joining forces this year and are now acting as one, according to Issel. While the merger had been underway since earlier this year, Thompson said their teamwork in battling the Lake Christine Fire “cemented” the bond and arrangement. 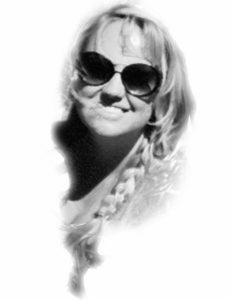 The merger will be made official, new name and all, beginning Jan. 1. “It’s like a football team — we always want to make sure we have the right players in the right places,” Thompson said of the newly formed district. 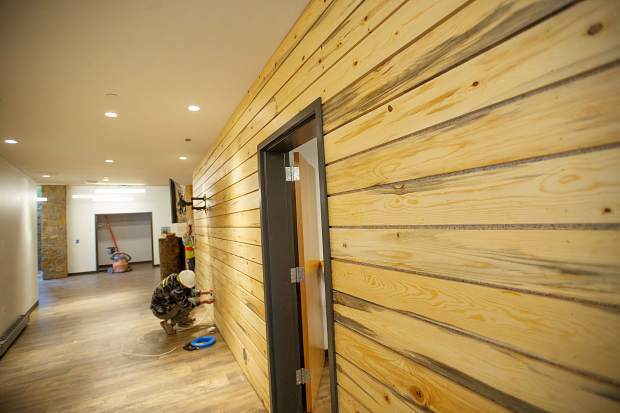 While the Snowmass firefighters will start transitioning into the new station on Oct. 10, the administrative staff, which is currently based in an office on the second floor of the Snowmass Center, will move at the end of the month. An open house and dedication ceremony of the new station is scheduled for late afternoon (exact time to be determined) on Nov. 30. All told, the new station boasts seven bays for housing apparatus, a command room, kitchen and day rooms, a “training tower,” seven soundproof bedrooms for the firefighters, six studio apartments as part of the district’s employee-housing requirement and resident training program, a 600-square-foot workout facility, a lobby and reception area. 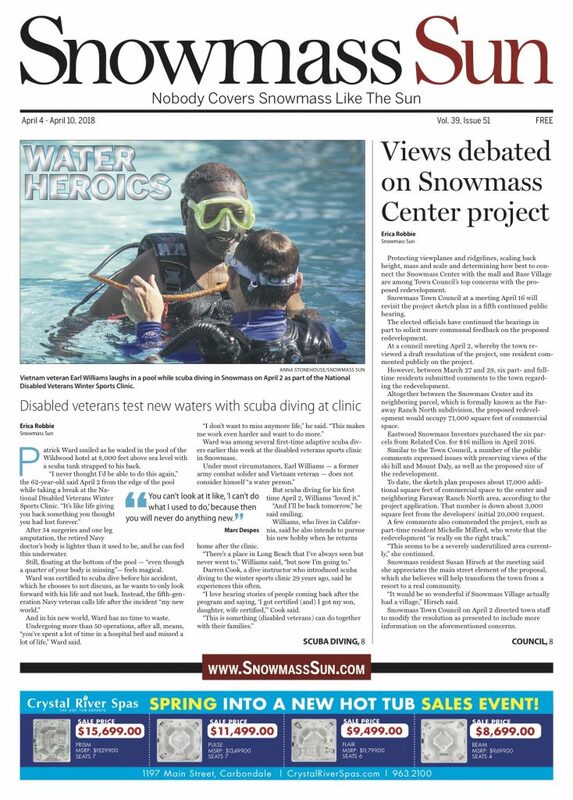 The previous fire station, which had been demolished at the same site on Owl Creek Road, was between 18,000 and 19,000 square feet, according to Issel. 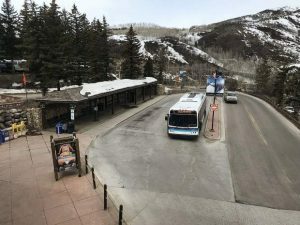 Snowmass voters agreed to fund the majority of the new station via a property tax that passed in November 2016.